Members of the civil society groups, NGOs, University Lecturers and students attending the first general meeting to form PNG Group Against Seabed Experimental Mining at CELCOR’s conference room. Yariyari Lawyer, Damien Ase (front left) Hon. Gary Juffa (next to him) and other key speakers sitting in the front raw. Professor Chalapan Kaluwin speaking to the group and making a point to stop seabed mining. Executive Director for Partners with Melanesia Kenn Mondiai speaking to the group. PwM will support Papua New Guineans to protect our natural resources and identity. 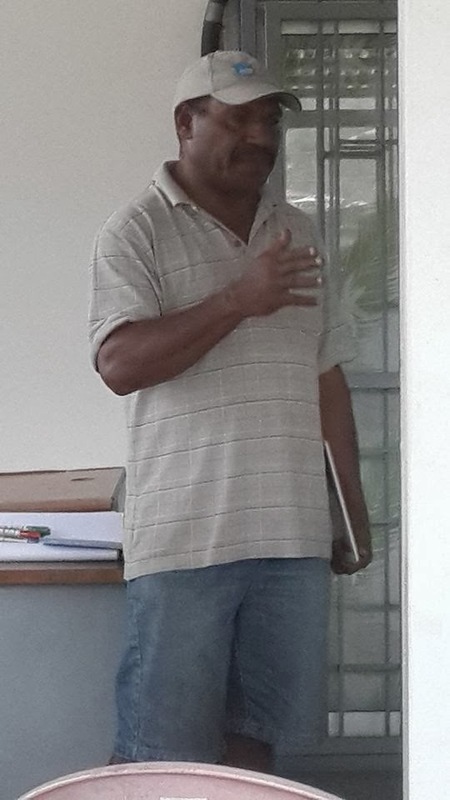 Madang Indigenous People’s Forum President, Alfred Kaket sharing his experiences of campaigning to stop deep sea tailings placement from MCC’s Ramu Nickle Mine and the seabed mine campaign. The campaign to stop experimental seabed mining in Solwara 1, by Nautilus Minerals Limited, a Canadian developer has been boosted by the establishment of a group, ‘Papua New Guinea Group against Seabed Experimental Mining (PNGGaSEM)’. This civil society group was established on Sunday 1 December, 2013 at the Ela Beach Hotel during its second general meeting. PNGGaSEM comprise of a coalition of resource owners, Centre for Environmental Law and Community Rights (CELCOR), Partners with Melanesia (PwM), Mas Kagin Tapani (MAKATA), Four Maisin (4M), Madang Indigenous Peoples Forum (MIPF), Madang Deputy Governor Rama Marisan, Oro Governor Gary Juffa , the PNG Council of Churches, private Lawyers Moses Murray and Thomas Elisah and some university Lecturers and students from both the University of PNG and University of Technology in Lae. PNGGaSEM membership continues to increase as the campaign grows. The group will be formally registered to pursue the matter further even in court to ultimately stop seabed mining in PNG. Chairman of the group Lawyer Moses Murray, pointed out that PNGGaSEM had an important role to play for Papua New Guinea. “Seafloor mining has not taken place anywhere else in the world. The costs of any possible environmental damage caused as a result of seafloor mining can be catastrophic and immeasurable,” he warned. He stressed further that in such a case, the State and Nautilus Minerals Ltd may not be in any position to contain the damage which can harm the marine environment, and the lives of people who live off it. He warned that those who may be affected by such damage include not just the people of New Ireland and East New Britain but everyone who consumes anything in the Bismarck Solomon seas. “Mining on the land is much easier to track and monitor destructions made. Unlike the ocean, current flows in completely different directions,” he cautioned. He added that the mining laws must also cover the ocean and its surroundings, above and below. He said PNGGaSEM has no funds to fight this hard battle but he called on the young members to set the pace and get the fundraising going as soon as possible. The group is in close consultation with scientists and a lawyer abroad for support and guidance in its endeavour to achieve its goal. 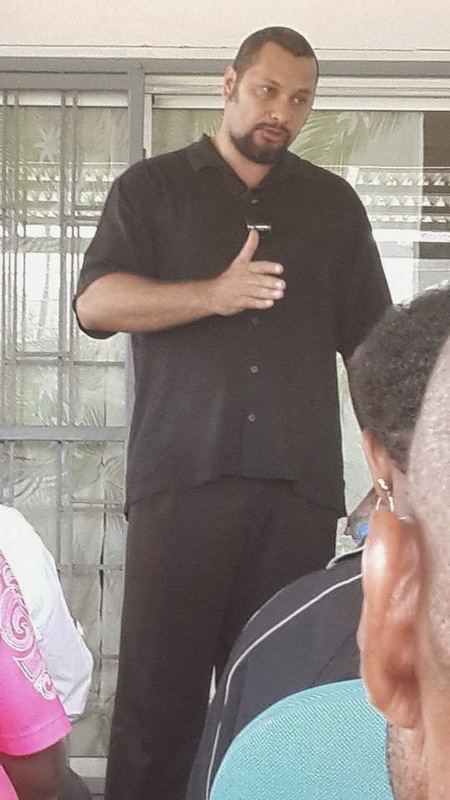 Deputy Governor for Madang, Rama Marisan said on behalf of the Madang Provincial Government and the 400, 000 people of Madang Province, he extended full support on behalf of the Governor and the Madang Provincial Government to say “NO” to Deep Sea Mining in PNG. He said a lot of mining activities can be seen on land and their aftermaths can be visually seen. He gave examples of Panguna, Lihir, Ok Tedi, Ramu Nickel mines just to name a few which are causing great concern to PNG’s fresh water, forests and sea and their biodiversity. Lawyer Elisah a private Lawyer based in Madang in addition said, there are no laws to police, and monitor the sea bed mining. “From the Governors’ Conference level held in Madang, the support is greatly needed for this group to fight this on the floor of Parliament,” he stressed. He raised concerns that anything within the three mile zone belongs to the customary owners, but anything outside the three mile zone is up to the State to do anything. “Since this is the case, it needed all the political will to fight this in Parliament,” he reiterated. He urged the PNGGaSEM to lobby hard for resolutions to be passed through government at the National Executive Council level to stop seabed mining. Meanwhile, reports obtained from Nautilus Minerals Ltd stated that it had conducted a workshop to discuss the social and environmental impacts of subsea mineral extraction on 12-13 March 2007. According to this report, the workshop was to identify and discuss issues related to the environmental and social aspects of Solwara 1 project. The PNG Government has issued license to Nautilus Minerals Ltd, to mine for high grade copper, gold, zinc and other minerals in high concentrations in seafloor massive sulphide deposits over 59km2 selections of Bismarck Sea. The Solwara 1 project site, is located at 1,600m water depth and is about 30km from the New Ireland and 50km from East New Britain provinces. The government has granted a 20-year mine lease for the project to Nautilus Minerals Ltd as well as take a 30% stake in the venture. Do we need to mine our seafloors?